We are one of the leading Manufacturers, Exporters and Suppliers of Spark Plug Cleaners (Royal-SPC) in Faridabad. The Spark Plug Cleaners (Royal-SPC) are one of the widely demanded products and we cater to a global demand for these machines. 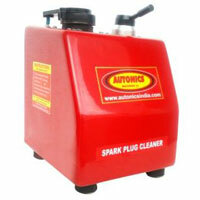 The Spark Plug Cleaners (Royal-SPC) are known for their quality and efficiency.